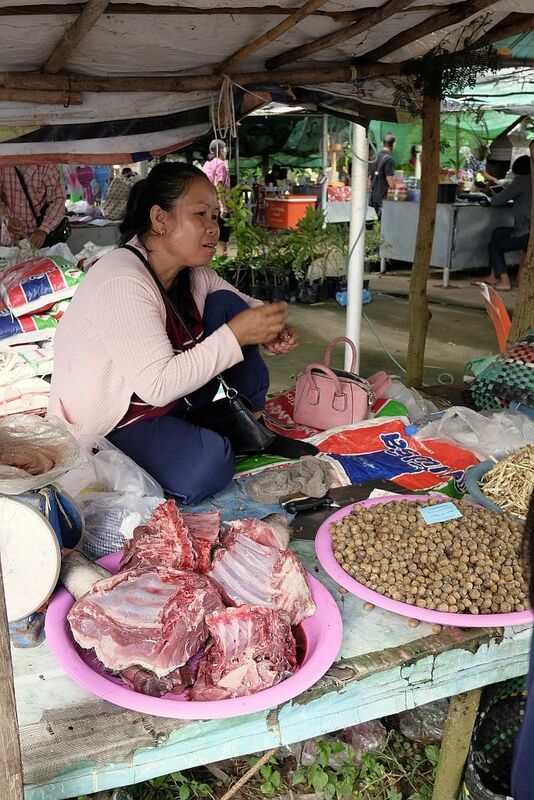 Lao language and culture are strong influences in the local Isaan way of life (Isaan is the informal name given to the northeastern corner of Thailand). 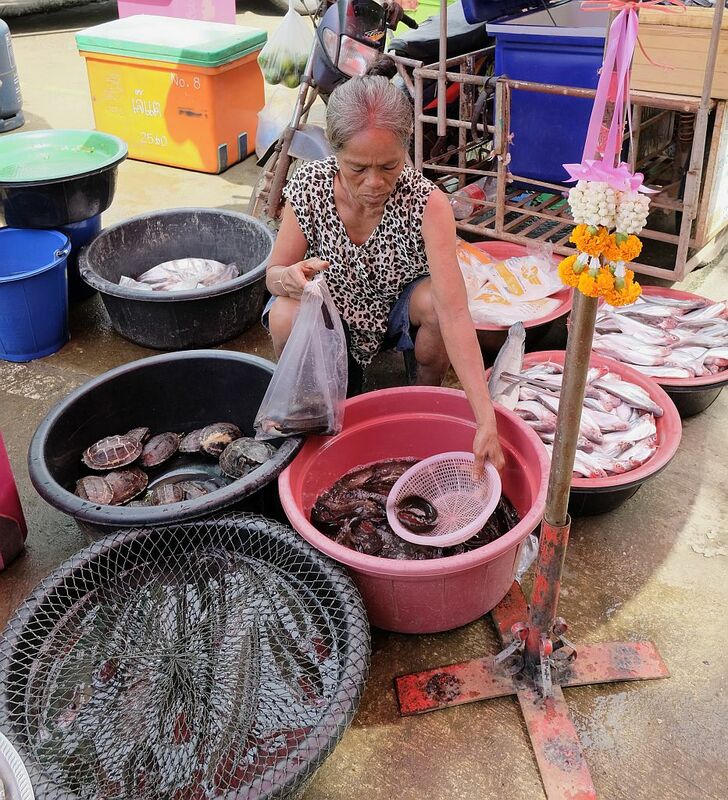 Here, the restaurants and markets carry plenty of Lao foods, which aren’t always available in central Thailand (Bangkok). 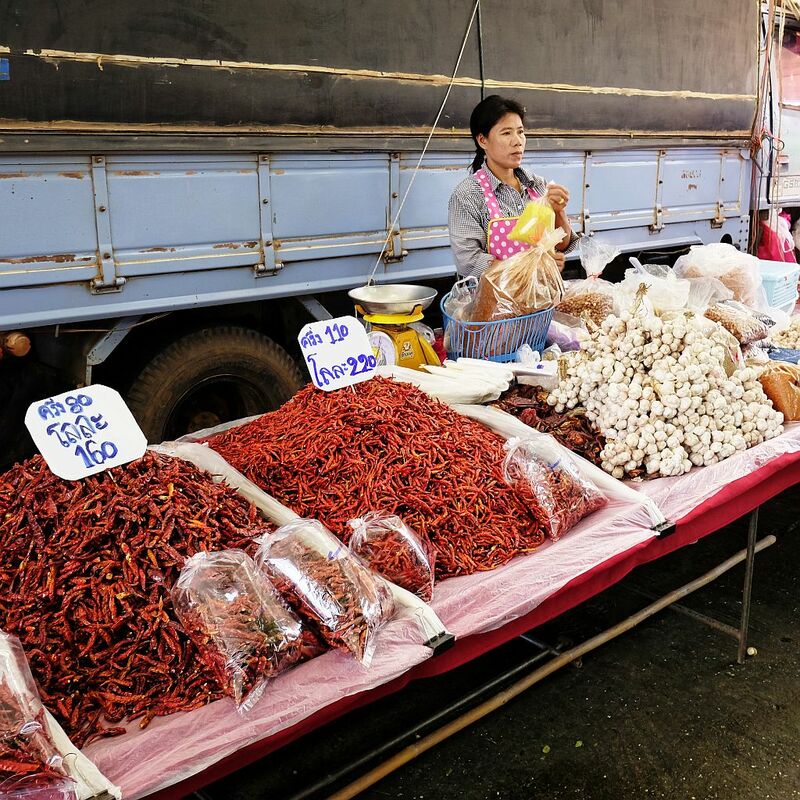 Mai took me to a Lao market in the town of Pak Khat recently so we could pick up a few things and so I could see the different foods. 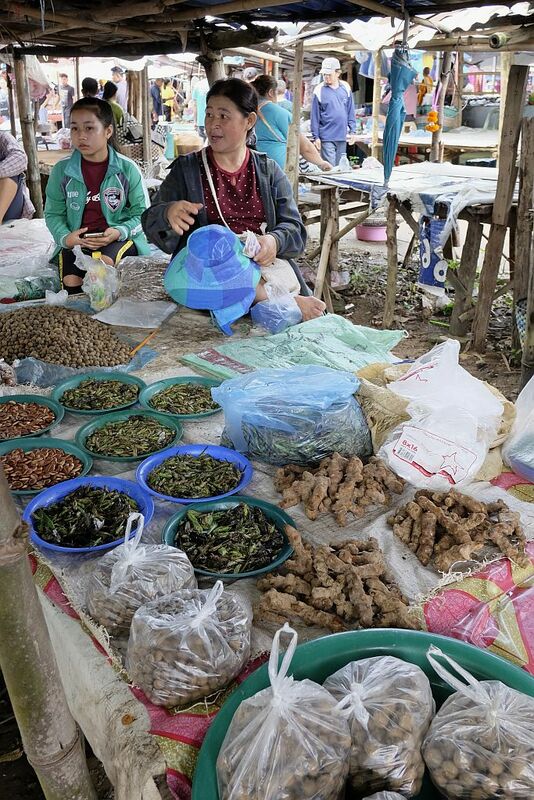 The market sits on the bank of the Mekong River. Laos is a stone’s throw away across the river. 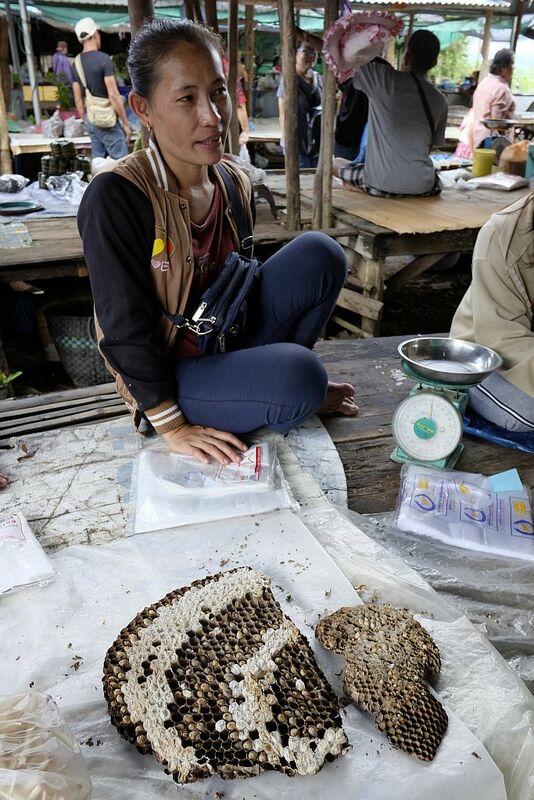 The variety of foods was fantastic and it was fascinating to see all the very different things that Lao and Isaan people eat as you will see in the photos. Click on the photos to view full sized images. 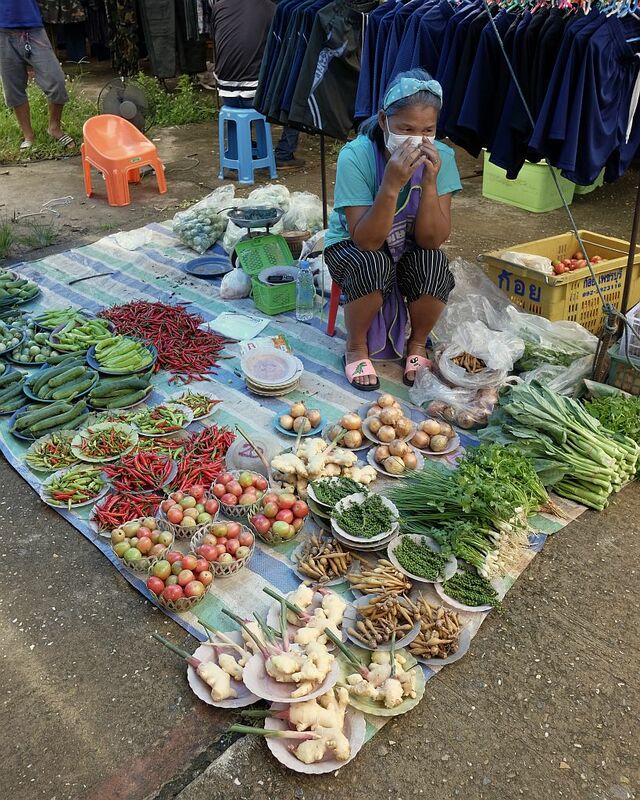 Fresh ingredients; herbs, spices, vegetables of every kind were on sale. 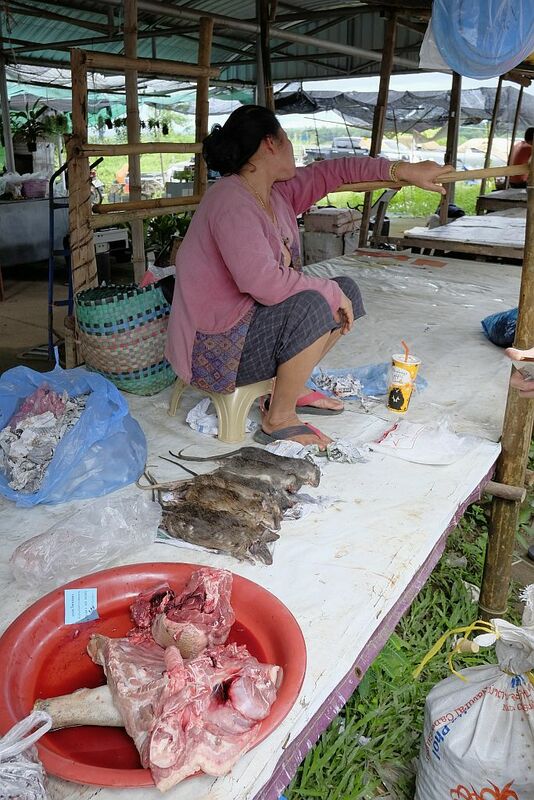 Plenty of pork, chickens, rats (yes those are rats in the center photo! 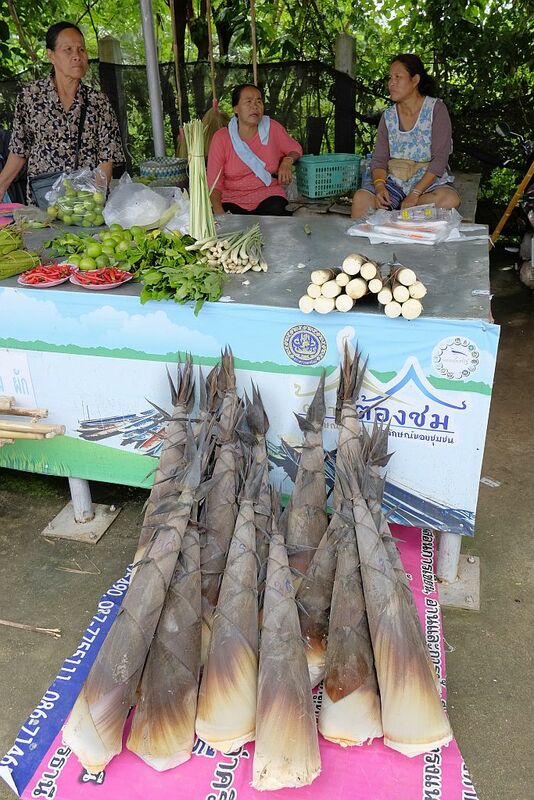 ), different sizes of catfish, several other fresh river fish, frogs, eels, turtles…you name it! 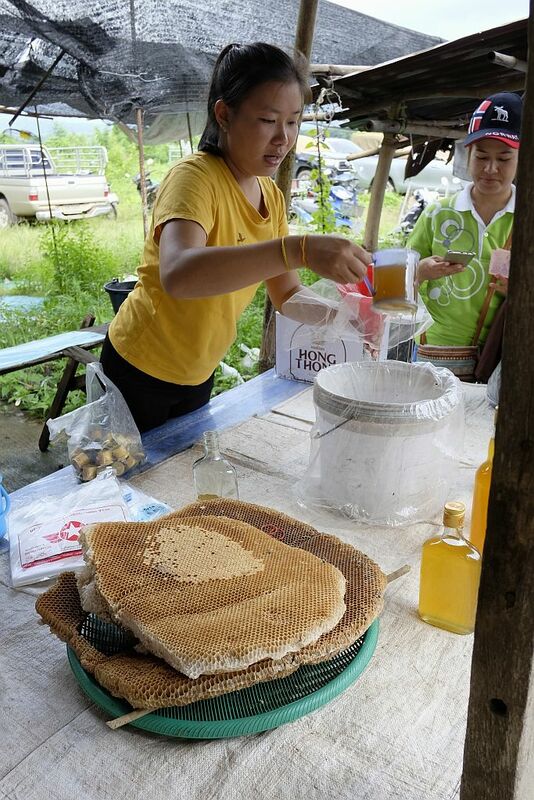 Fresh wild honey, fresh wild bee larvae, roasted bamboo shoots and the freshest coconut juice anywhere! There were also clothes and shoes for sale, music and movie CDs. One stop shopping. 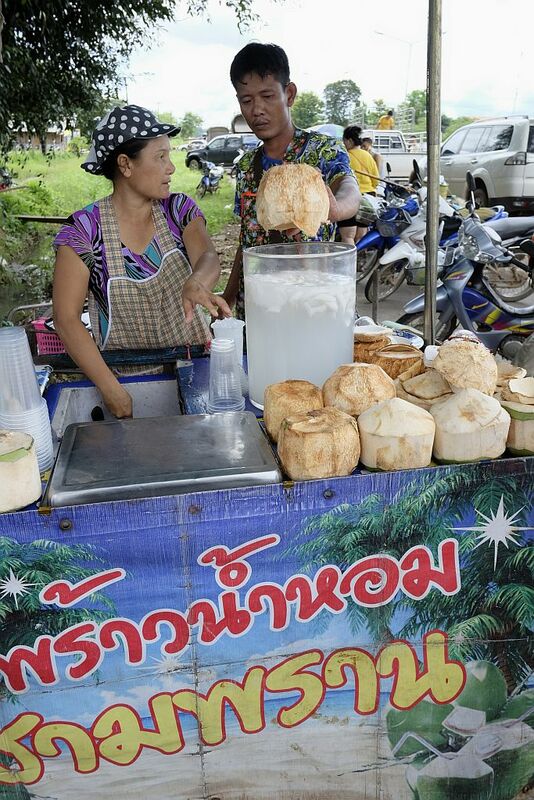 As we were about to leave and old guy took me by the arm, led me to the coconut juice stand and signaled for me to please take a photo. Presumable it was his son’s or daughter’s stand. I took a few and showed them to him. He was happy, and giggling all the way and chattering to me in Thai, took me by the arm again and helped me across the highway to where our car was parked! It was sunny and very hot that day. I would have stay longer if not for the heat and we’ll definitely go again!